Peavey Plaza, Minneapolis, MN. Image courtesy The Cultural Landscape Foundation. 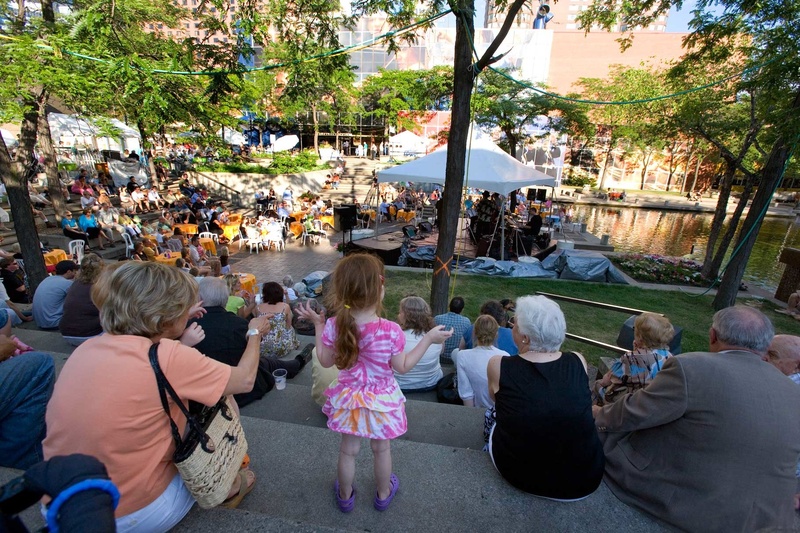 On Wednesday, October 19, 2011, a news conference was held to unveil the Peavey Plaza redesign. The result, we were told, followed a very public design process complete with a Community Engagement Committee to provide input and guidance. After considering numerous options, a Selection Committee narrowed the options down to either restoration or a new design. The new design finally won. There are a lot of problems here and chief among them is this either/or scenario, either restoration or design - that's a false divide suggesting the two are adversarial and incompatible. Why is this false? Two words. High Line! The High Line, New York, NY. Image courtesy The Cultural Landscape Foundation. 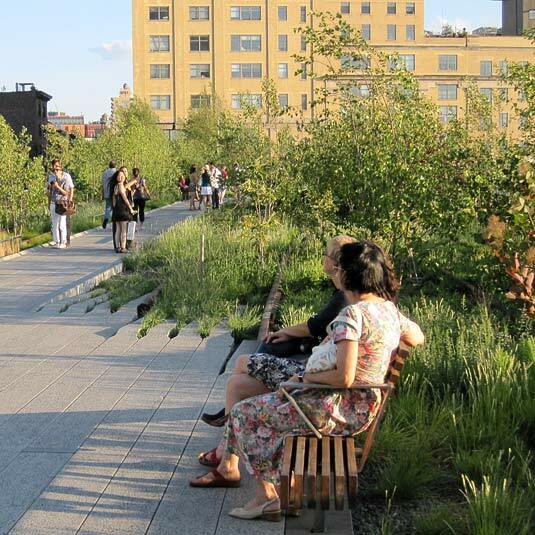 New York City's High Line is a brilliant synthesis of design and restoration that forcefully demonstrates what can be accomplished when the two are paired. There are many other examples: Bryant Park, Columbus Circle, and Madison Green in New York City; Daley Plaza, Federal Center Plaza and the Lily Pool in Chicago; Logan Square and the Rodin Museum in Philadelphia (as I recently wrote); and, Mellon Square and Allegheny Commons in Pittsburgh. First, a quick background on Peavey Plaza, which was designed by the pioneering and inventive landscape architect M. Paul Friedberg and opened in the mid-1970's. Friedberg says it combines "American green space and European hard space," and the design vocabulary is similar to other Friedberg projects in New York (Riis Park Plaza, demolished in 2000) and Washington, DC (Pershing Park): amphitheater- style seating oriented around the sunken plaza/pool basin (filled with water during the summer or frozen in winter for skating), cascading and spraying fountains to animate the space, lawn terraces, many sculptural objects, and ample opportunities for large- and small-scale gatherings. 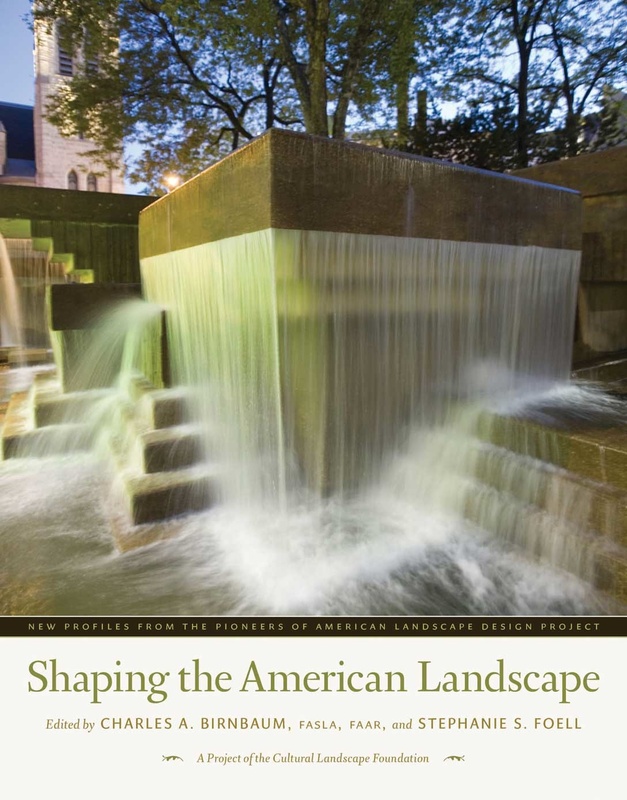 The cascading fountain, Peavey Plaza's most iconic element, as featured on the cover of "Shaping the American Landscape: New Profiles from the Pioneers of American Landscape Design Project." This was selected as the signature image to represent 250 years of American landscape design. Image courtesy The Cultural Landscape Foundation. 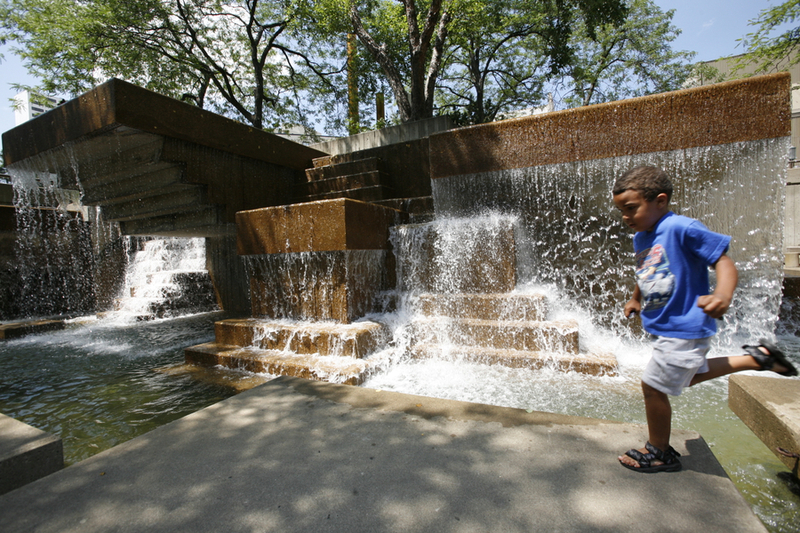 The cascading fountain at the corner of Nicollet and Twelfth Street, the most iconic element in the plaza's design, feeds the sunken pool while creating an inviting visual link to Nicollet Mall. As with the High Line, Bryant Park, etc., Peavey's infrastructure has suffered due in part to lack of maintenance. Repairs are needed, but the underlying bone structure is intact and can accommodate an intelligent revitalization. This obviously was recognized in Minneapolis's recent and sympathetic treatment of another Friedberg project less than half a block away, Loring Greenway, so the same was expected with Peavey. Indeed, last November, at a very public meeting chaired by Minneapolis Mayor RT Rybak and held at the city's convention center, a team was selected to revitalize the Plaza. The lead was Tom Oslund, a talented Minneapolis-based landscape architect, Friedberg, the original landscape architect, and me, because of my expertise in modernist landscape architecture. In our cover letter accompanying our winning proposal, we said: "The team collectively believes this project should and will become a model for how modern works of landscape architecture are reconfigured." We had faith in the City, in part because in 2006, when the American Society of Landscape Architects held their annual conference in Minneapolis, the Mayor issued a proclamation lauding landscape architects as they seek "to see the design of conserved, renewed, and new parks and other public spaces as part of an integrated approach to the challenges of the new century." Influential City Councilmember Lisa Goodman gave us more reassurance when she noted of our team's selection in an interview with Minnesota Public Radio: "Oslund is committed to preserving historical aspects of Peavey Plaza, particularly through his decision to include on his design team Paul Friedberg, the original designer of the plaza." Boy were we naïve ... We actually took them at their word. Here's what happened. The Minnesota Orchestra hall that faces Peavey is undergoing a $45 million renovation and the Orchestra wants a new design. So, despite two public meetings and the public feedback the City says it received, the process was really steered behind the scenes by the Orchestra in tandem with the City. What about that very democratic sounding Community Engagement Committee? Well, the Orchestra created it and membership was by invitation only! Rather than "all are welcome," it was "not you, not you and definitely not you." Those numerous aforementioned other designs considered were never shown to the public, nor subject to public debate or dialogue. This is not to advocate, "design by committee," but the public has a right to know what's going on, to comment, and to have those comments thoughtfully considered. So, with Peavey Plaza about to effectively be bulldozed, what should be done? 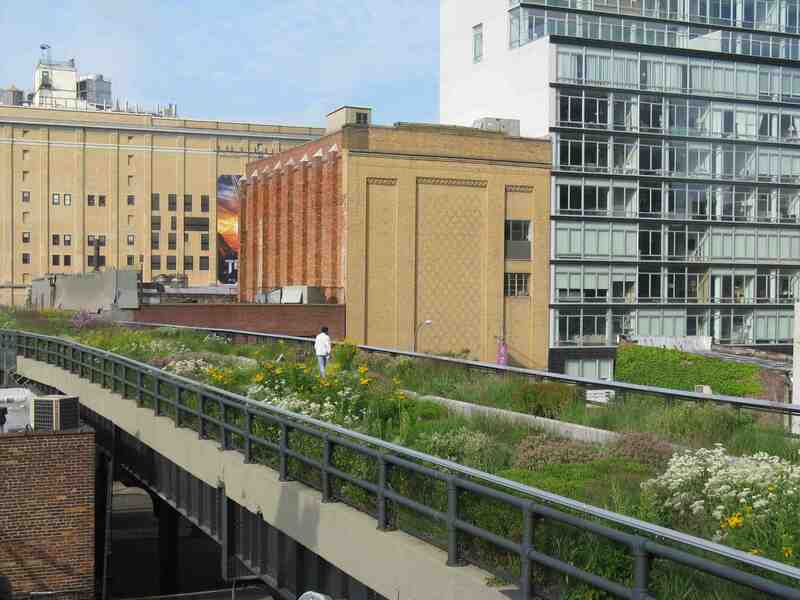 The City needs to reopen the design decision-making and insure transparency in the process. About 80% of the funds for the redesign will have to come from private sources and the most logical donor is Peavey's other neighbor, Target. Yes, that "big box" retailer. Rendering courtesy The Cultural Landscape Foundation. Why should they care? Well, Target is opening more urban stores according to the local Finance & Commerce and "in Chicago, the company is opening a CityTarget store in a historic building designed by noted architect Louis Sullivan. Target is moving into space that has been empty since 2007 when Carson Prairie Scott closed a department store there. The building, now known as Sullivan Center, dates to 1899 and is a landmark in Chicago." Also, since 2000, Target has been a generous sponsor of National Design Week and the Cooper Hewitt Design Awards. And, in the same week that Peavey figuratively started walking the plank, the new Target Studio for Creative Collaboration opened at the Weisman Art Museum "devoted to stimulating creativity through visionary Collaboration among artists of all disciplines and between artists and scientists, engineers, and practitioners of other disciplines." Creative collaboration means that collectively we can be more insightful, more intelligent than we can possibly be individually. . . Businesses on the leading edge understand that creative collaboration is vitally important--that true innovation takes all kinds of minds working together. It requires operating on the knife-edge. It requires suspending assumptions and abandoning non-negotiable and rigid positions to achieve true innovation. It means that the accomplishments of "team intelligence" can be greater than the intelligence of individual members if they are able to take innovative, but coordinated, actions. Great jazz ensembles provide metaphors for acting spontaneous in coordinated ways. To the City of Minneapolis and the Minnesota Orchestra, it's time to face the music. You blew it on the process and you're preparing to needlessly ruin an important and much beloved landscape. Now is the time to change course and reinforce Minneapolis's well-deserved reputation as creative and above-board. And, to the citizens of Minneapolis and elsewhere, we all share a responsibility for safeguarding transparency in public process and civic debate. Don't abdicate that!